Studying the Bible is a little bit like having a savings account. A savings account is there so we have the resources ready when a need arises. Every month we put a little more money in the account. It accumulates. It’s there, ready to use. The car’s brakes go out? There’s money in the bank to fix them. A trip to the emergency room? The money is there, ready to pay the bill. If we are reading our Bibles and thinking about what we’re reading, we’re making deposits into a different kind of savings account. Little by little, verse by verse, we’re building up wisdom, learning to trust in God’s promises and rest in His sovereign control of all things. When the inevitable trials of life come, there’s “money in the bank.” We’re stronger, ready to trust God, better prepared to respond in a godly manner. A friend gossips behind our back? We know what God says about forgiveness. 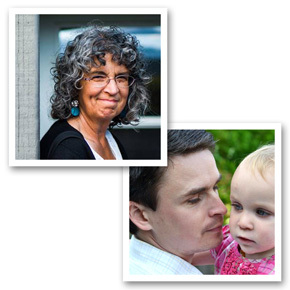 Our husband gets laid off at work? We’ve already considered the ravens that God feeds, the lilies that He clothes. The doctor says the word “cancer”? We remember, and keep telling ourselves, that our lives are in His hands, and that His grace is sufficient in our weakness. The Word of God, brought to life in our souls by the Holy Spirit, needs to be in our hearts, a rich treasure of wisdom, ready to draw on at a moment’s notice. But it’s often difficult to make those deposits. It’s hard to find time when we’re on duty 24/7. And when we finally do sit down, we don’t always know what to do or understand what we are reading. Would you like encouragement to slow down long enough to actually study God’s Word? Would you like help knowing what to do when you open your Bible? Would you like to spend some time meditating on Christ’s sufferings on the cross, as we anticipate Resurrection Day? 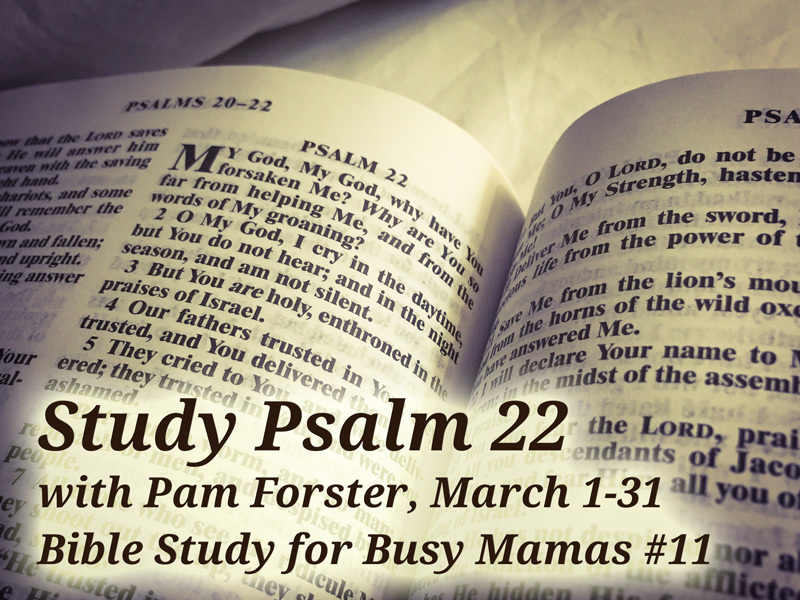 Then come and join me for a month-long study, designed especially for busy women like you, of Psalm 22! Learn how to study, wonder at the agony Christ endured for you, praise Him for the salvation He won for you on the cross, learn from His example as He cried out to His Father in His suffering. It’s going to be a rich study of a rich psalm. All you need is a Bible, a few colored pencils (Prismacolor Premier are perfect, if you’re in the market for a new set) a pen, a notebook, and a computer, smartphone or tablet. If you want to fellowship with other ladies who are studying Psalm 22 along with you, be sure to join the Busy Mamas Bible Study Facebook group. 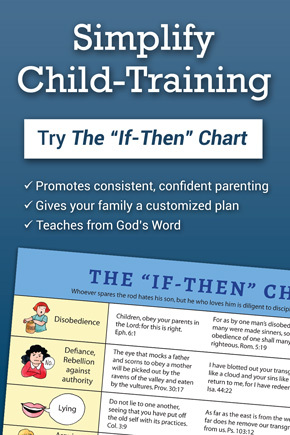 If you want to teach your children about Psalm 22, take advantage of the children’s lessons that are included in each day’s lesson. Then check your inbox on Tuesday morning! Your first lesson will be waiting for you! 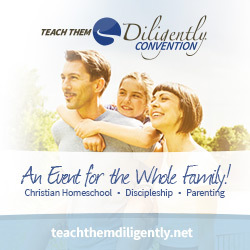 Busy, Busy Mamas’ Bible Study Giveaway! So excited to start! Thank you!!! Thank You! I do this on my own too of course. But I truly enjoy the fellowship of these studies. I’m a momma, Grandma and soon to be Great Grandma! I’m blind in one eye and have cataracts. So I have printed almost the entire Bible (NKV) at 150%. What a GIFT!! Perfect timing… God always knows what and when we need his hand. Thank you for doing these wonderful studies! I appreciate your leadership and obedience! Yay, I love these studies and I love my colorful Bible!!! And best of all I love the LORD!!! Thank you for being such a faithful servant to the High King.